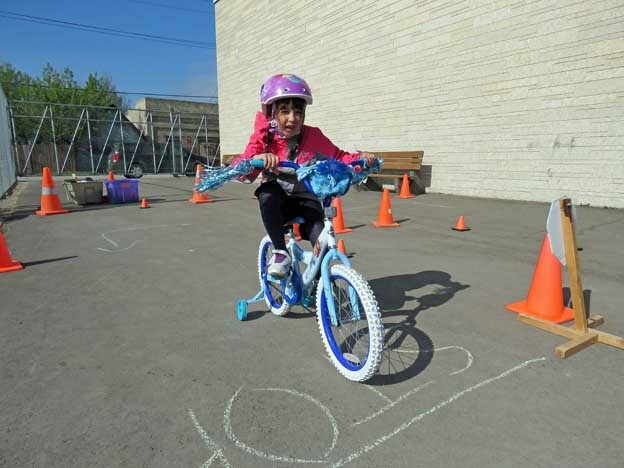 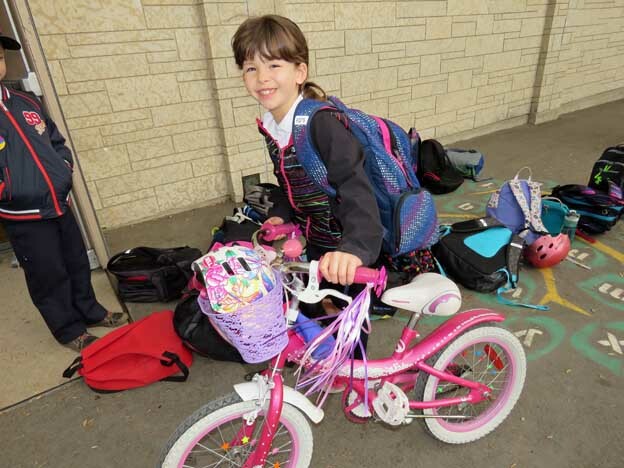 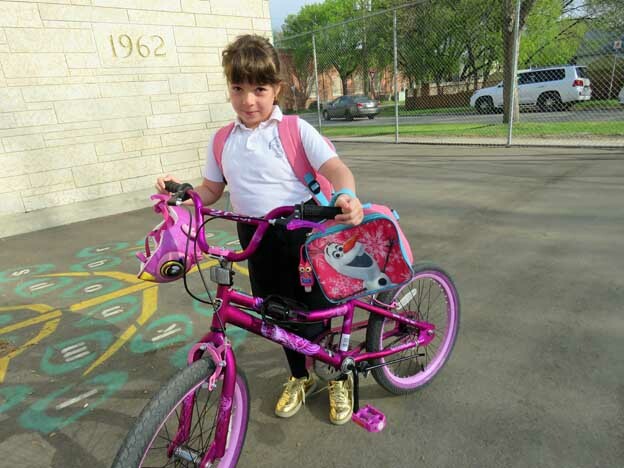 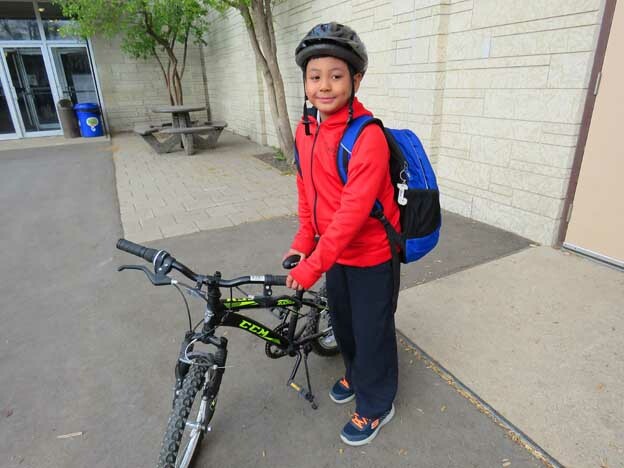 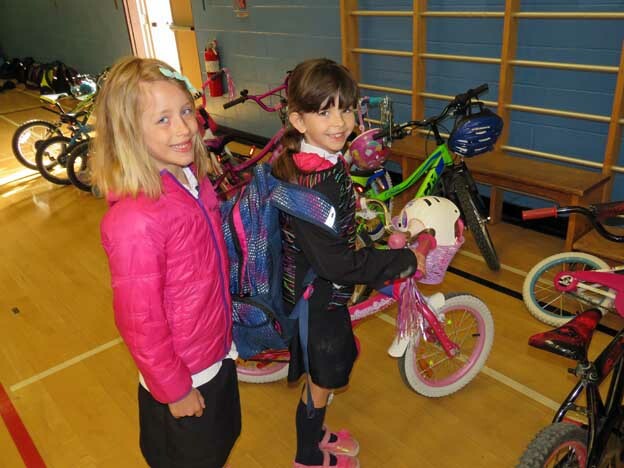 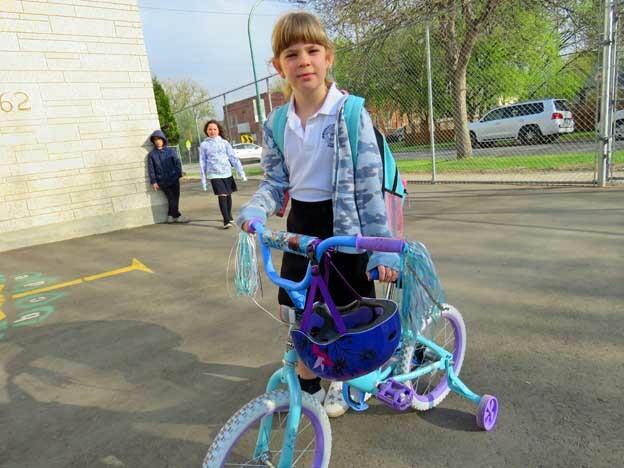 On Wednesday May 16, the grade 1 and 2 students participated in a bicycle safety course at IHMS. 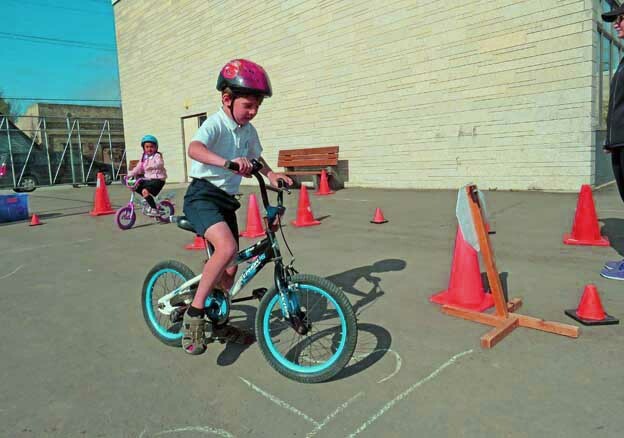 The course, which is offered by the school every year, is an opportunity for students to learn road safety, hand signals, and even a bit of bicycle maintenance. 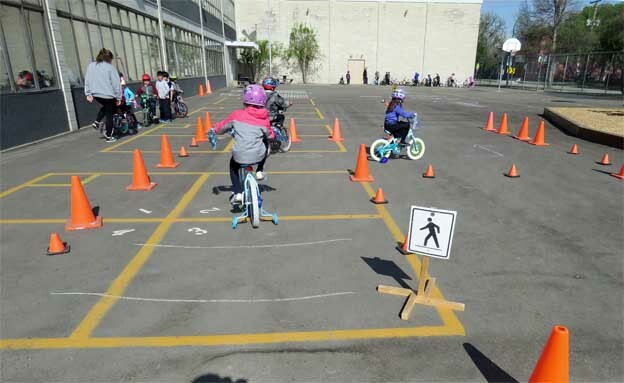 It’s not intended to teach students how to ride a 2 wheeled bike. 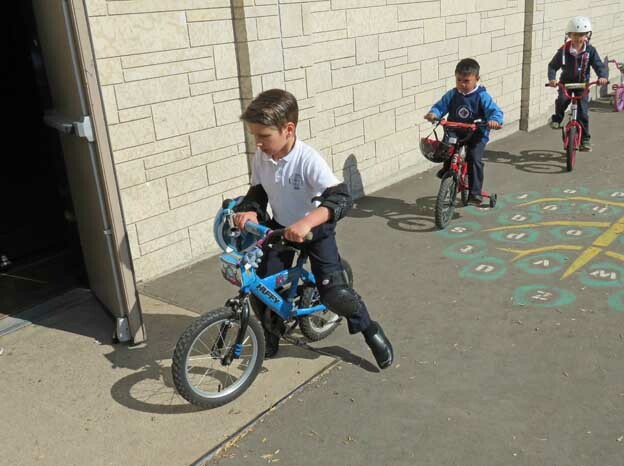 Students who can’t yet ride a 2 wheeler bike or students unable to bring one to school still participated by walking through the course. 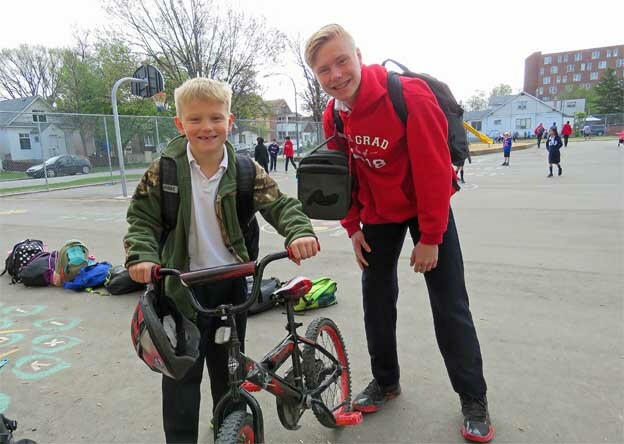 Most students were eager to participate in the course and were excited at the prospect of bringing their bikes to school. 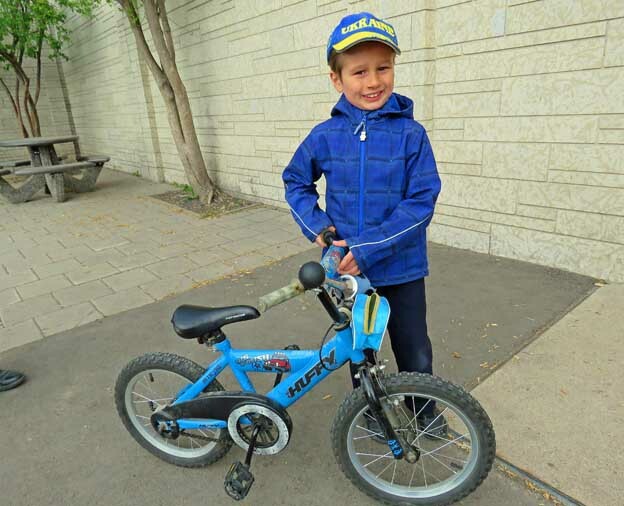 Kids are proud of their bikes in much the same way that adults are proud of their cars, and some wanted to show off to their classmates. 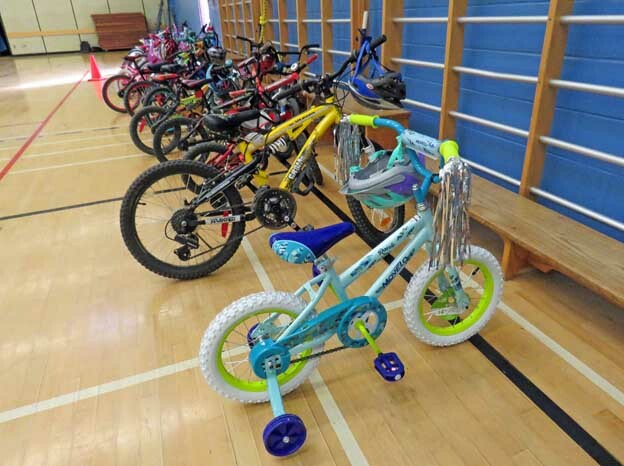 After being dropped off as usual in the back lane or on the front street, they wheeled their bikes across the school yard and left them in the gym. 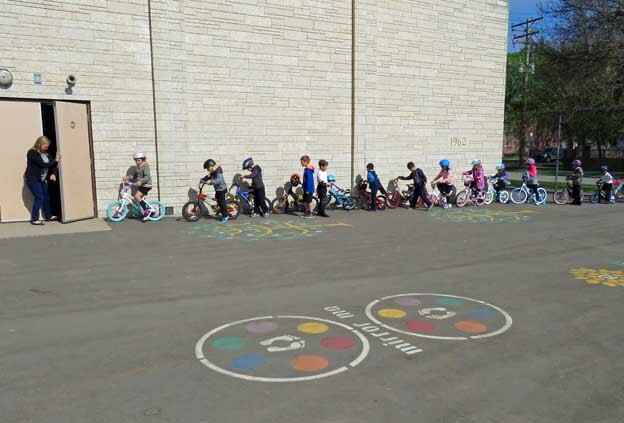 The course, which was taught by employees from Manitoba Public Insurance, began shortly after opening exercises with the grade 2 class up first (the course was repeated for the grade 1’s shortly afterwards). 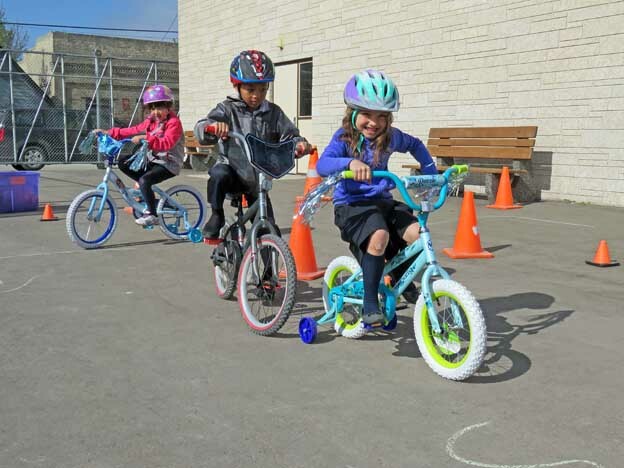 The MPI instructors set up pylons on the playground and the students learned about bicycle safety checks, the importance of helmets, how to use the “Stop” hand signal, and how to use the “Turning” hand signals. 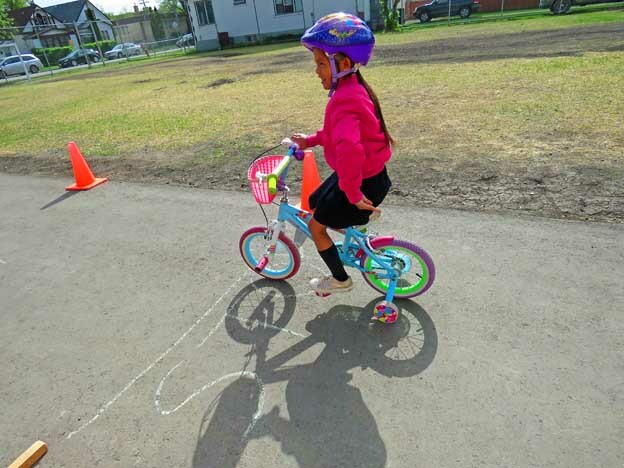 The students finished off the course by demonstrating that they knew how to stop, straddle, shoulder check, and use proper hand signals to ride a bicycle. 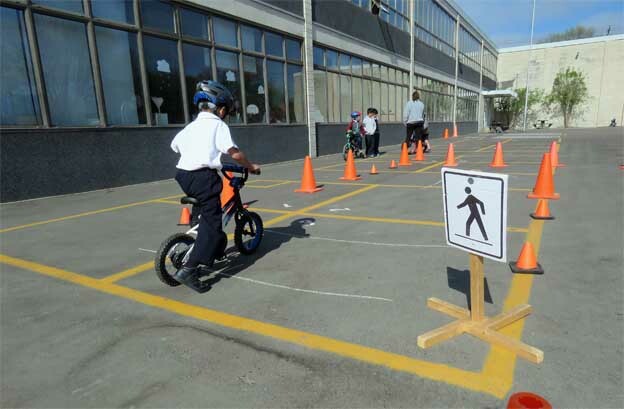 They also had to show an understanding of street signs. 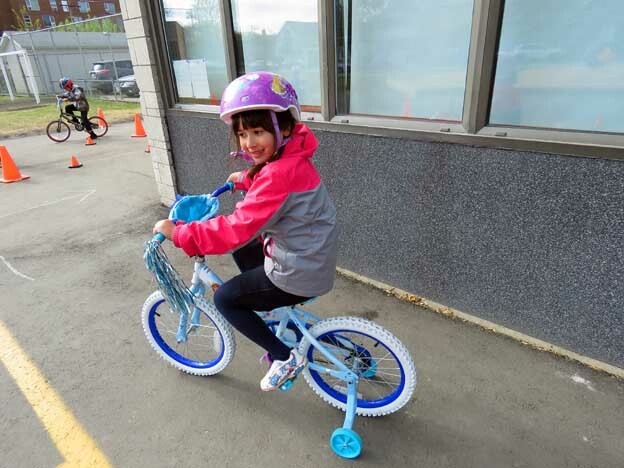 Everyone had fun, and the students learned some important rules about bicycle safety.